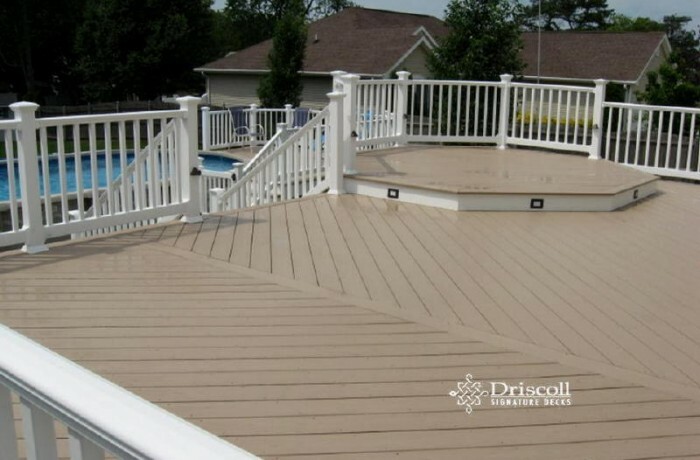 Info:This Driscoll Solution Story includes a main custom deck with a 12' step-up octagon dinning area, composite decking boards with matching parting boards and picture-frames, white vinyl railings, lovo accent lighting on the level change, posts and risers PLUS a pool-side deck too boot! 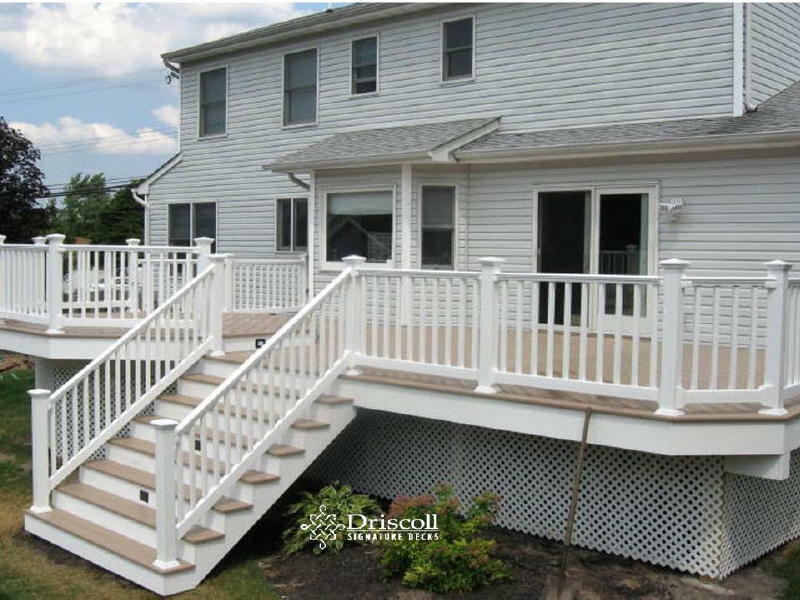 You will find quality deck designs, consultation and excellent craftsmanship when you search for Driscoll Signature Decks at Deck, Decks, Deck Builder, Deck Contractor, Decks NJ, Deck Builder NJ, Deck Contractor NJ, Pt Pleasant Decks, Decks Pt Pleasant NJ, Deck Pt Pleasant, Deck Pt Pleasant NJ Pt Pleasant Decks, Pt Pleasant NJ Decks Pt Pleasant Deck, Pt Pleasant NJ Deck, Deck Contractor, Pt Pleasant, Deck Contractor Pt Pleasant NJ, Pt Pleasant Deck Contractor, Deck Builder Pt Pleasant, Deck Builder Pt Pleasant NJ, Pt Pleasant Deck Builder, Pt Pleasant NJ Deck Builder, Pt Pleasant NJ Deck Contractor. 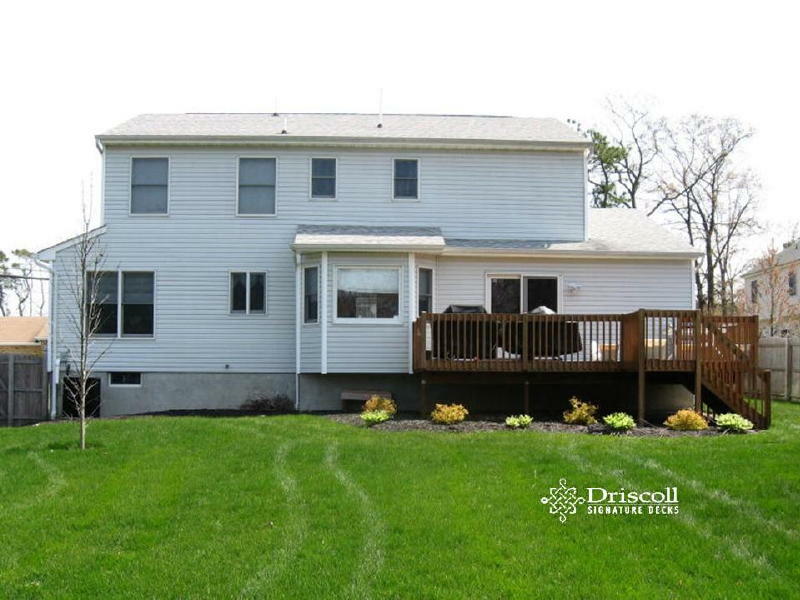 We started with this spacious back yard (and an old wooden deck) with big plans for a pool, main dinning deck and of course a poolside deck, too! 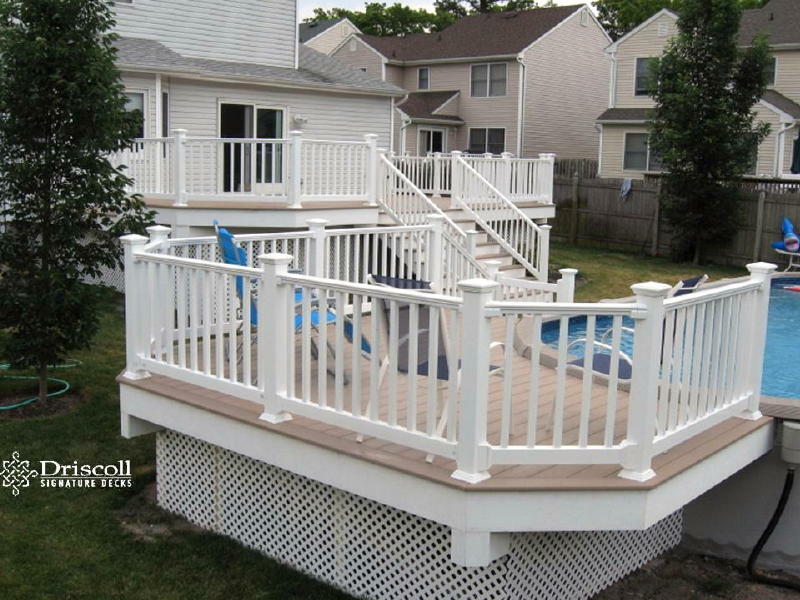 You will find quality deck designs, consultation and excellent craftsmanship when you search for Driscoll Signature Decks at Deck, Decks, Deck Builder, Deck Contractor, Decks NJ, Deck Builder NJ, Deck Contractor NJ, Point Pleasant Decks, Decks Point Pleasant NJ, Deck Point Pleasant, Deck Point Pleasant NJ Point Pleasant Decks, Point Pleasant NJ Decks Point Pleasant Deck, Point Pleasant NJ Deck, Deck Contractor, Point Pleasant, Deck Contractor Point Pleasant NJ, Point Pleasant Deck Contractor, Deck Builder Point Pleasant, Deck Builder Point Pleasant NJ, Point Pleasant Deck Builder, Point Pleasant NJ Deck Builder, Point Pleasant NJ Deck Contractor. 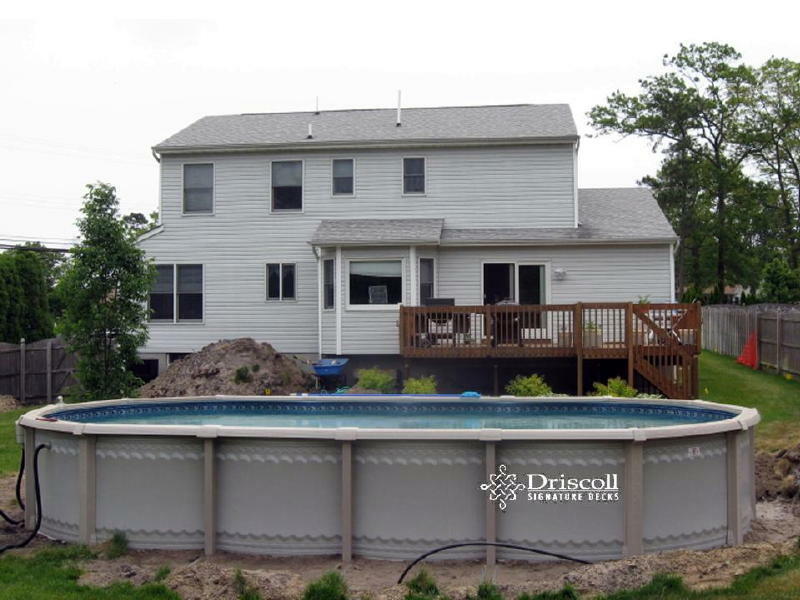 So, the first thing we needed was to get the pool set in in place -DONE! Now, we need to demolish that old wooden deck..! Next comes our Signature robust framing with a step-up octagon on the main deck, for dinning, and overlooking the pool of course. 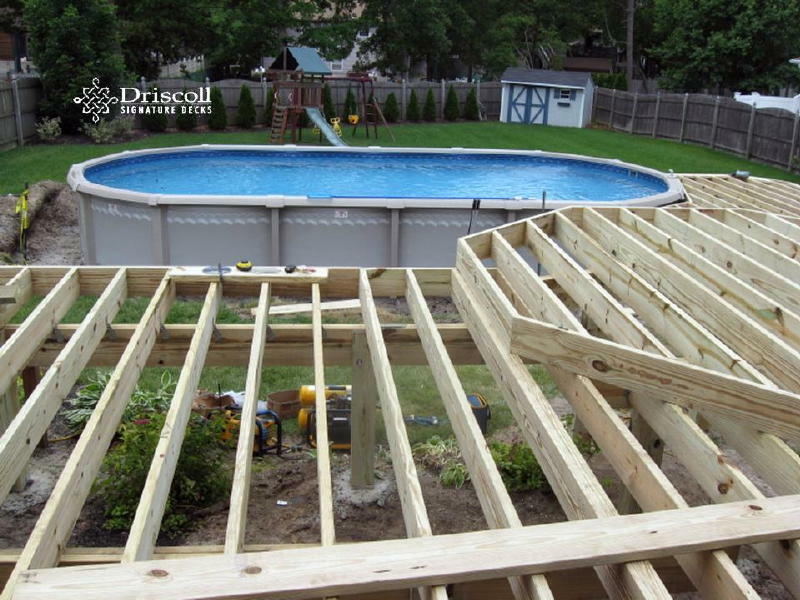 You can also see on the right of the above image, the framing for the poolside deck – too! As you can see, this nice-sized pool deck came along nicely and it is just the right size for a few ‘watchful-eyed’ lounge chairs. 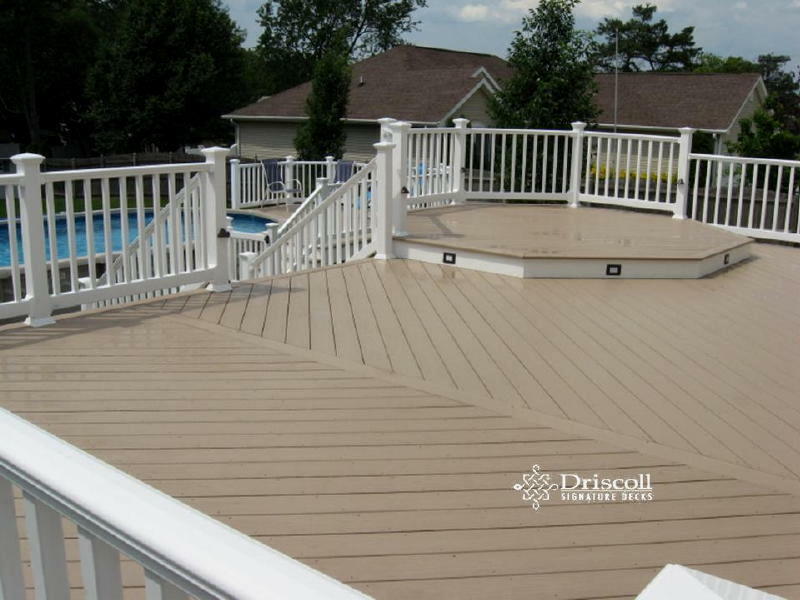 Also note the clean-cut bay turns, the picture framed or border pattern on the composite decking boards, the white fascia trimboard, with the 2′ cantilever and the lattice to hide the framing. With the lovo accent lights on the railing post, stair risers and the octagon level change, everything you see here is ‘Classic’ Driscoll Style…!